Looking for movie tickets? 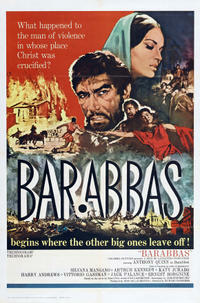 Enter your location to see which movie theaters are playing Barabbas near you. Story of biblical thief (Anthony Quinn) pardoned in place of Christ.